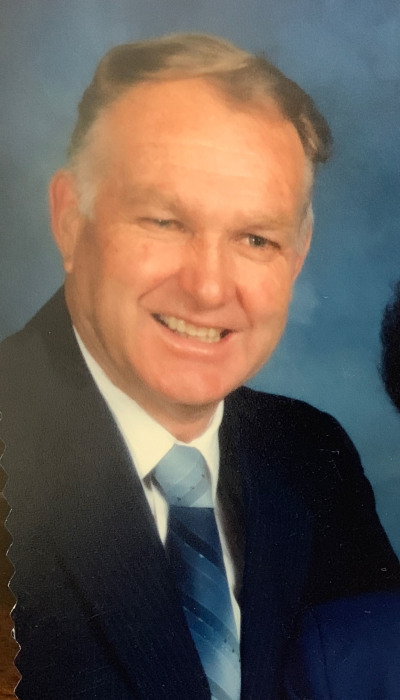 Bert Clark Alexander, son of Alvah and Mary Etta Clark Alexander, passed away peacefully at his home on March 30, 2019 in Alpine, Utah surrounded by those he loved most—his family. His siblings, Mary, William (Bill), Bonner, Gale, Jack and Lois, preceded him in death. Bert was born August 17, 1931 in Vernal, Utah, where he spent his early years. Several years after the death of his father, his mother married Horace Gillman and relocated to Lindon, Utah. Bert attributed much of his early learning, his love for horses, and his appreciation for hard work to his stepfather. Bert married the love of his life, Janet Louise Robinson on July 12, 1950. Their marriage was solemnized in the Salt Lake Temple on October 8, 1951. Bert and Janet made their first home in Lehi, Utah, with later homes in American Fork, Utah; Yuma, Arizona; St. George, Utah and most recently Alpine, Utah. Bert’s four older brothers served in World II and he continued the family legacy by serving valiantly in the Korean War as an artillery Sergeant, commanding as many as 80 soldiers who provided coverage for the advancing First Marine Division. Because of his military service in Korea, he lost his hearing and was hearing impaired for most of his adult life. `Aside from a legacy of love for friends and family, rarely has earth produced a man with a harder work ethic. Other hallmarks of a life well lived were impeccable integrity, selfless service, and fierce loyalty to friends, of which he had many. He never met a man he couldn’t find a good nickname for. Bert worked as a master brick mason for Geneva Steel, and retired from Hercules Powder Company where he worked as a supervisor for thirty years. He was a master horseman, gardener, pigeon racer and craftsman, building hundreds of birdhouses for friends and family. He was an avid fan of BYU sports and he loved the Utah Jazz. Bert demonstrated his strong faith in Jesus Christ by serving others most every day of his life. He loved the Lord’s church and served faithfully in many callings, including as Bishop of the American Fork 7th Ward. With his sweetheart, he served four missions for The Church of Jesus Christ of Latter-Day Saints. Bert is survived by his wife, four children—Vickie Bonar (Steve), Allen (Denise), Don (Kathy), Wade (Sydney), —and their families. Bert is also survived by a foster daughter Sandra (Simir) McCabe. He truly blessed the lives of his 28 grandchildren and 68 great-grandchildren. Grandpa, along with Grandma, had the unique gift of making each of his grandchildren feel like the most special person in the world. Funeral services will be April 3, 2019 at 11:00 AM at the Church of Jesus Christ of Latter-day Saints Alpine West Stake Center located at 327 West Long Drive, Alpine, Utah. A viewing will be held April 2, 2019 from 6:00 to 9:00 PM at 6141 West 11000 North, Highland, Utah, and from 9:00 to 10:30 AM prior to the funeral. Please share a memory at andersonmortuary.com.